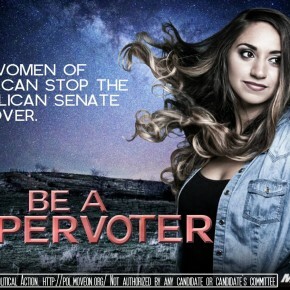 In the lead-up to the 2014 midterms, MoveOn.org’s research and polling indicated that women’s votes would hold extra power in a handful of key swing states crucial to winning the election for progressives. 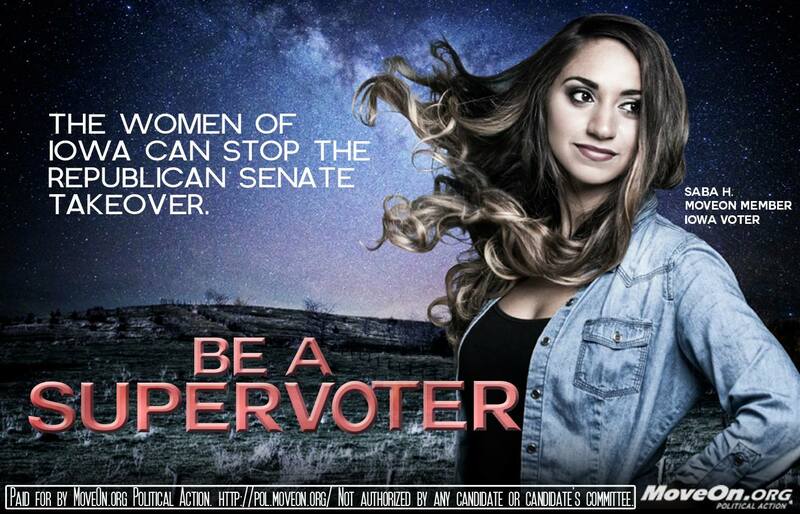 So ART NOT WAR created the #SuperVoter campaign to send the message that, in an election where issues like access to birth control, equal pay for equal work, and the right to choose would be more at stake than ever, women’s votes were especially crucial. 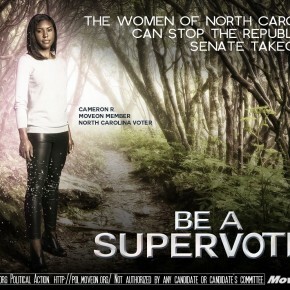 ART NOT WAR decided there were no better people to send this message than the voters themselves. 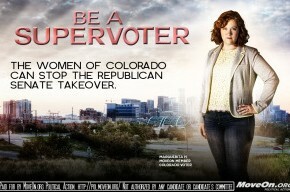 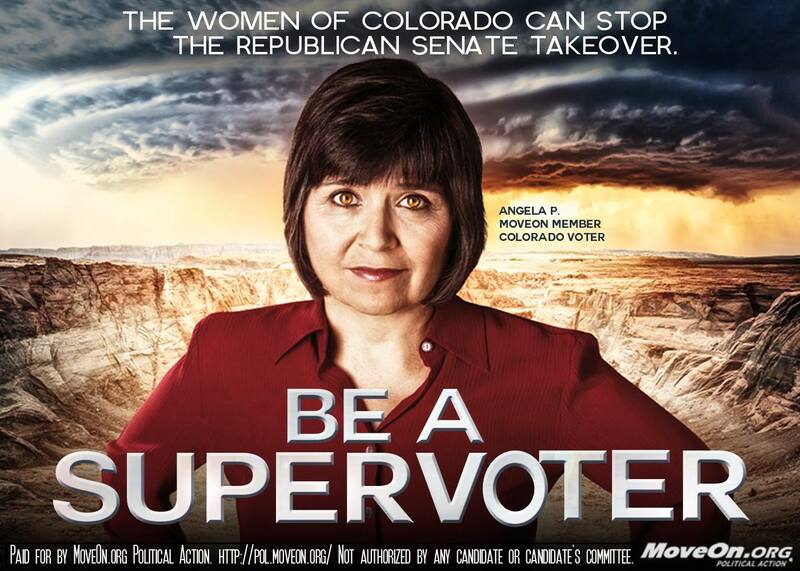 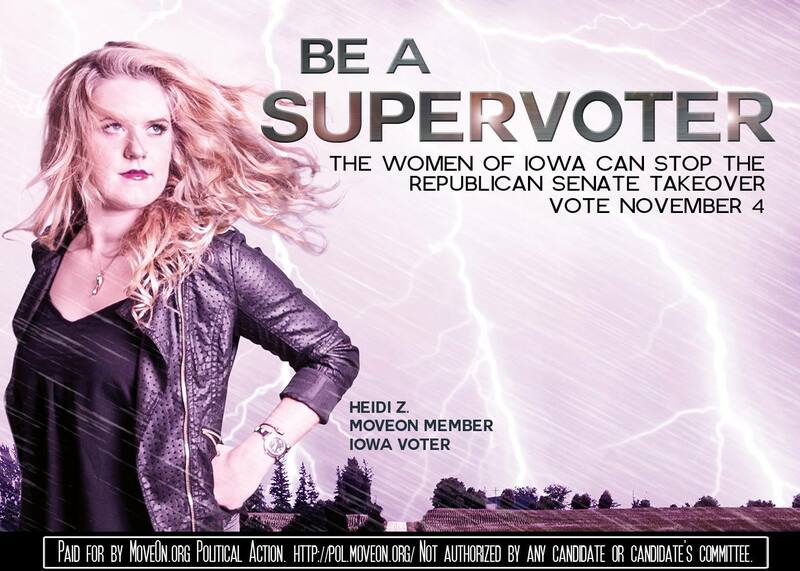 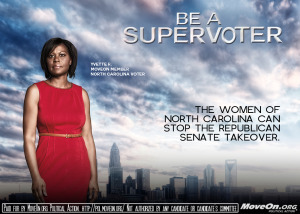 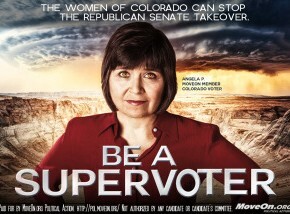 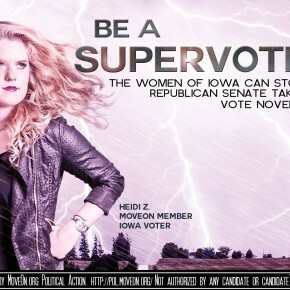 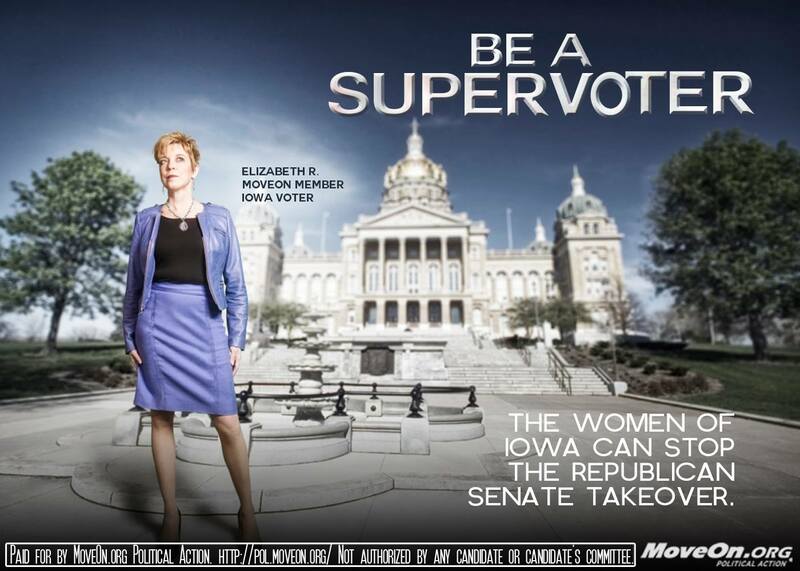 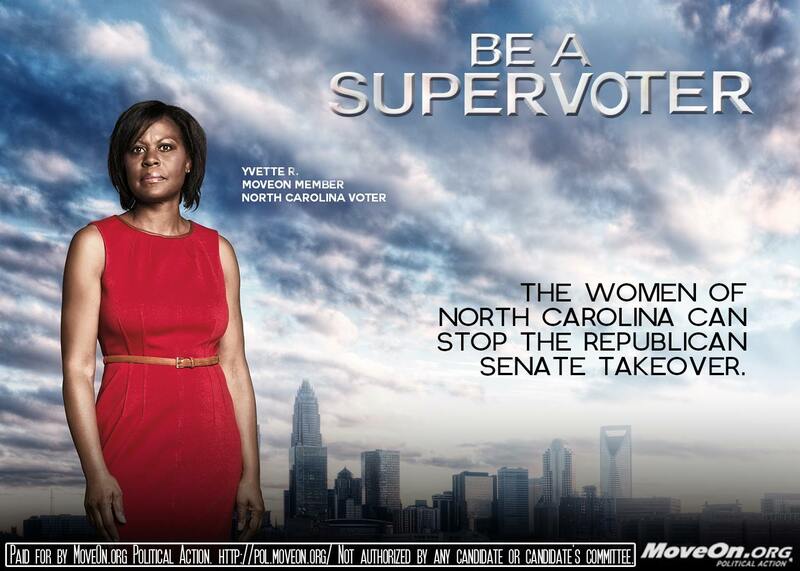 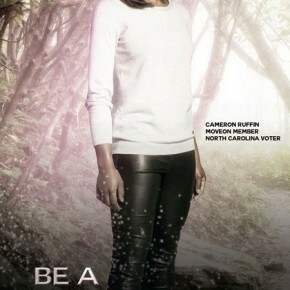 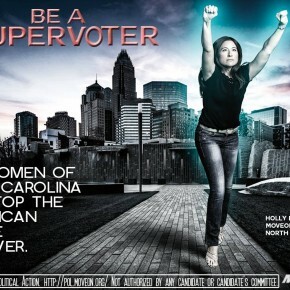 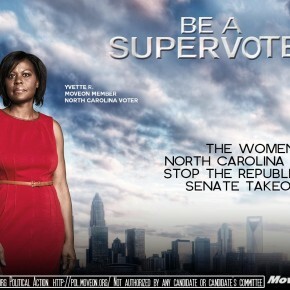 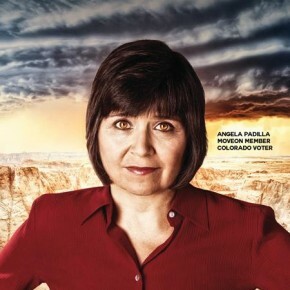 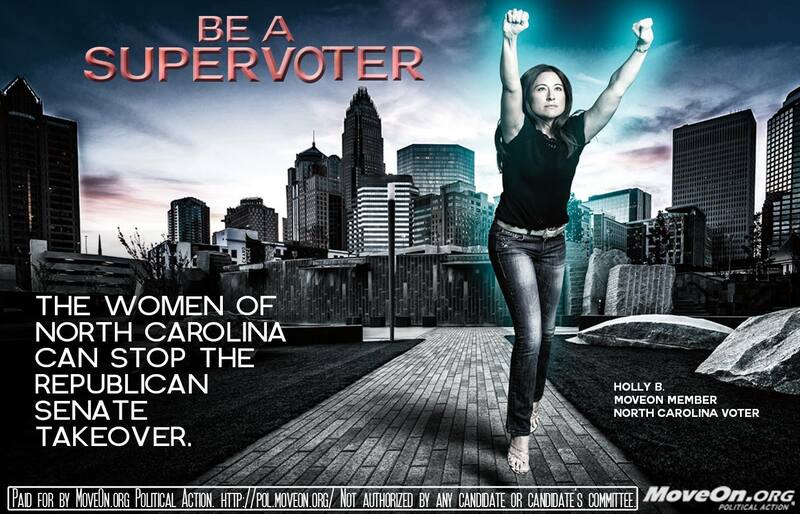 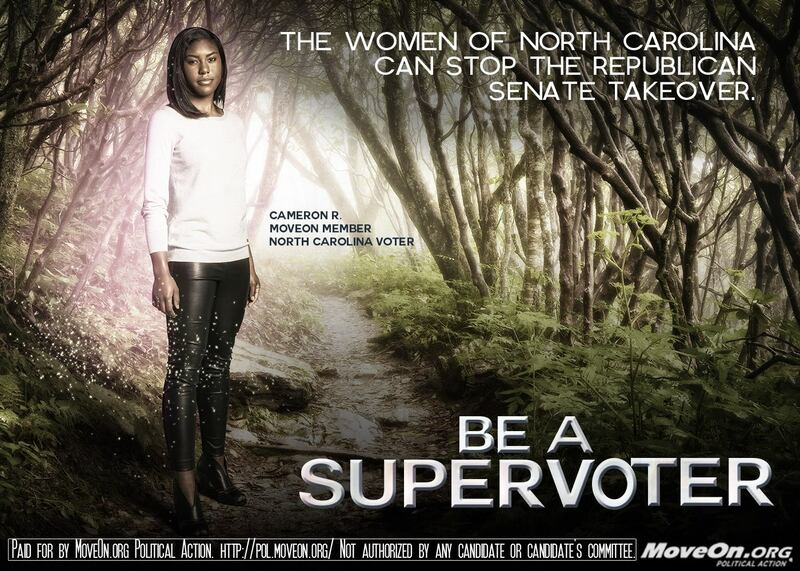 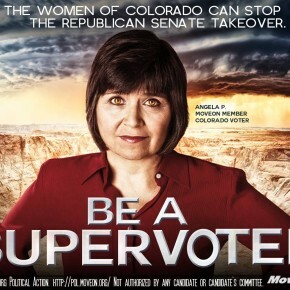 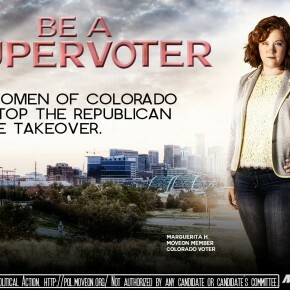 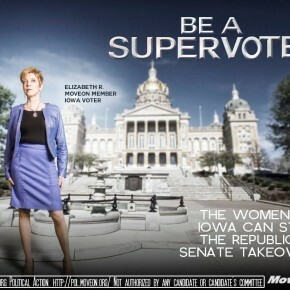 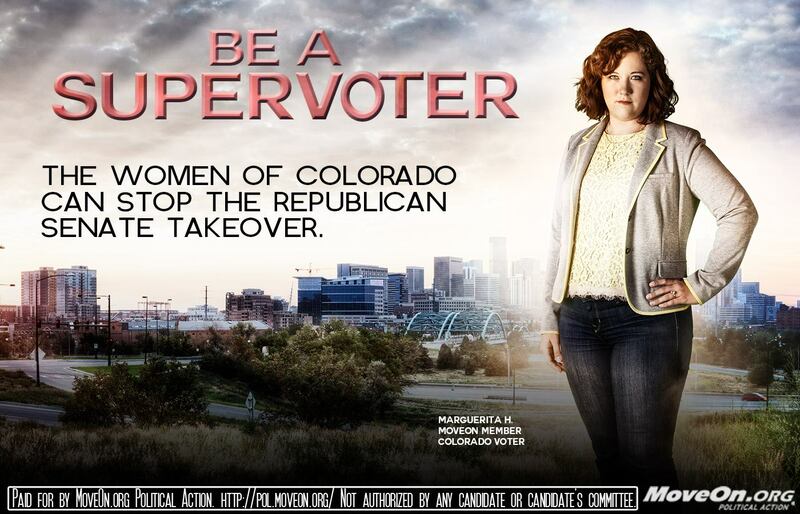 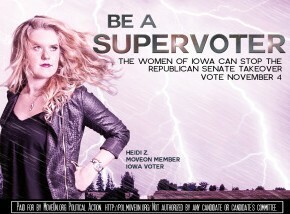 So we found women voters across the nation and gave them the “superstar” treatment normally reserved for celebrities. 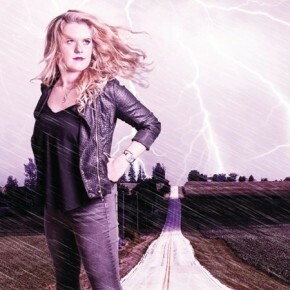 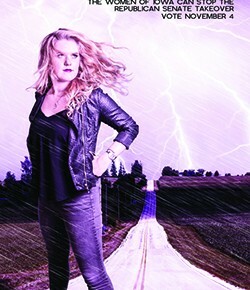 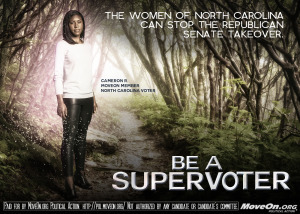 After holding photo shoots in Colorado, Iowa, and North Carolina, ART NOT WAR collaborated with renowned post-production facility Dippin’ Sauce to create epic movie posters with our subjects starring as heroic #SuperVoters. 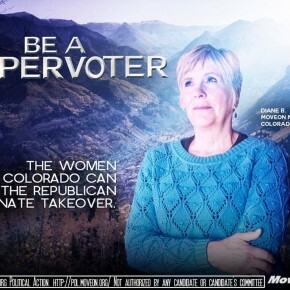 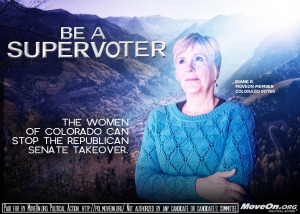 MoveOn earned hundreds of thousands of media impressions by placing the poster images in full-page newspaper ads in our SuperVoter’s home states. The images were rolled out via Facebook ads and shareable graphics sent to MoveOn’s full base of 8 million members. Finally, a shareable online video starring the subjects of our shoot amplified the message for women to turn out the vote nationwide.